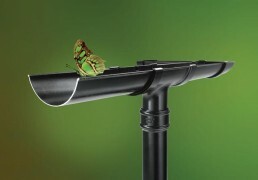 Manufactured in aluminium, one of the few materials that can be infinitely recycled, whilst also being one of the most durable with a life expectancy of 50 years or more. 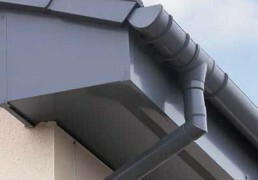 Classic Square profiled gutter system. 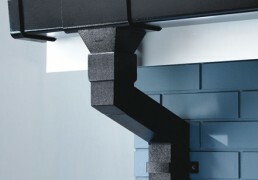 Sleek and modern solution for rainwater disposal. A full range of soffits and Fascias that perfectly match and enhance the Alutech roofline range.. The Evolve range uses the latest manufacturing technologies to reduce its carbon footprint, making the Evolve family one of the greenest and sustainable ranges available in the UK today. 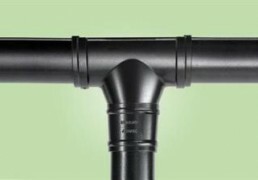 Classic eliptical deep flo profile – for high capacity rainwater systems.